Too funny! What a great try! Happy ww. 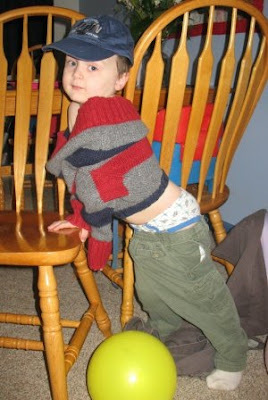 Oh yes, he's definitely a future model. He's got the look down pat! Happy WW! And that's why you ALWAYS have your camera ready! i know i already posted, but i just showed jim and i laughed so hard i almost teared up. such a funny kid! I was just looking for information about this when I came by your post. I'm simply stopping by to say that I very much enjoyed reading this post, it's really well written. Are you going to blog more on this? It appears like there's more fodder here for later posts.